A new Telus cell phone site has some residents of Vancouver’s West End concerned about the potential health impacts of living so close to it. Jules Grant and Melia Sorenson noticed the metallic structure being set up on top of the seven-storey building next to their downtown building last week. 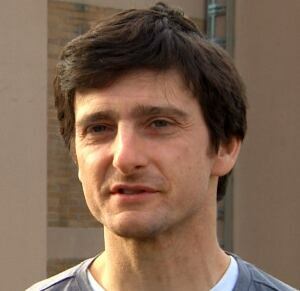 “They are, perhaps, 25 metres from my bedroom, where my small children are,” Grant said. 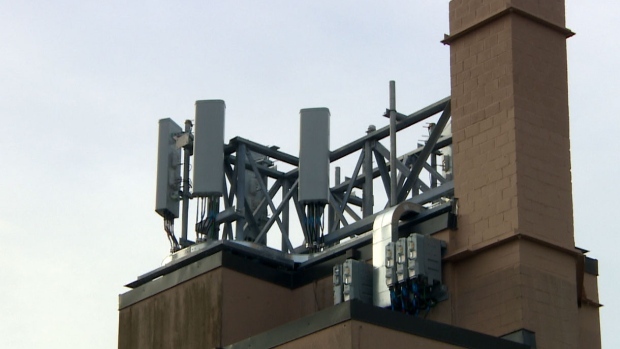 According to Telus, the $500,000 wireless cellular site was installed with the permission of the City of Vancouver, because of complaints of poor cell service in the West End. The company says there is no reason to worry about negative health effects. “Our wireless sites emit a signal hundreds, if not, thousands of times less than what’s deemed safe by Health Canada,” said Telus spokeswoman Liz Sauve. Still, Grant and Sorenson are upset they weren’t told about the installation before it was installed, and are now considering moving out of their suite. “It was done with no notification, no consultation, and they shrouded it with a big tent, which they only took off last week. So we couldn’t tell what they were doing,” Grant said. “I just think we should have had a right to know what was going on,” Sorenson added. The couple called Industry Canada, which regulates cell service about what they call a lack of public consultation. “Industry Canada has pointed us to the exclusion section, which says that if [Telus] put them on top of an existing structure, then they are excluded from having to do that, so they have no obligation to inform the public of what they’re doing,” Grant said. Telus says it will go out and chat with those concerned neighbours about the wireless site. This entry was posted on March 18, 2015, 1:11 pm and is filed under British Columbia, Canada, cell tower, health and safety, Telus, Vancouver. You can follow any responses to this entry through RSS 2.0. You can leave a response, or trackback from your own site.